The Salesforce Certified Platform App Builder credential is designed for individuals whowould like to demonstrate their skills and knowledge in designing, building, and deployingcustom applications using the declarative customization capabilities of the Force.complatform. The candidate can create, manage, and update data models, application security,business logic, and process automation. 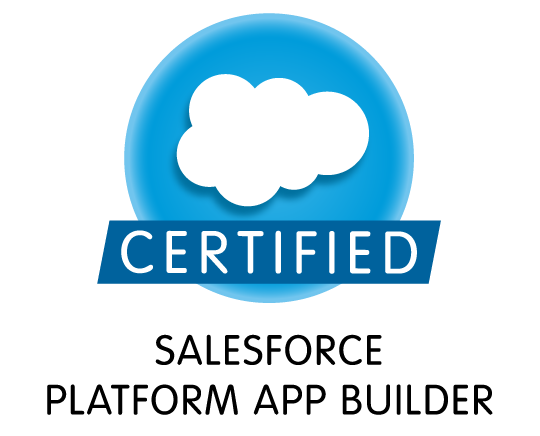 All proctored Salesforce certification exams can be scheduled as an onsite or online exam. *Please note that on occasion, Salesforce may place a small number of unscored questions on an exam in order to gather data on question performance. These unscored exam questions are in addition to the 60 scored questions on your exam, and have no impact whatsoever on your final exam results. Exam time has been evaluated to accommodate the inclusion of unscored questions. Your exam results will be based on the 60 scored questions. RESILIA® is a Registered Trade Mark of AXELOS Limited.